The Arts For All Otago Network is made up of representatives from the disability sector, arts and cultural organisations, and venues. Its members meet throughout the year to gain insights, seek advice, and share information and resources. 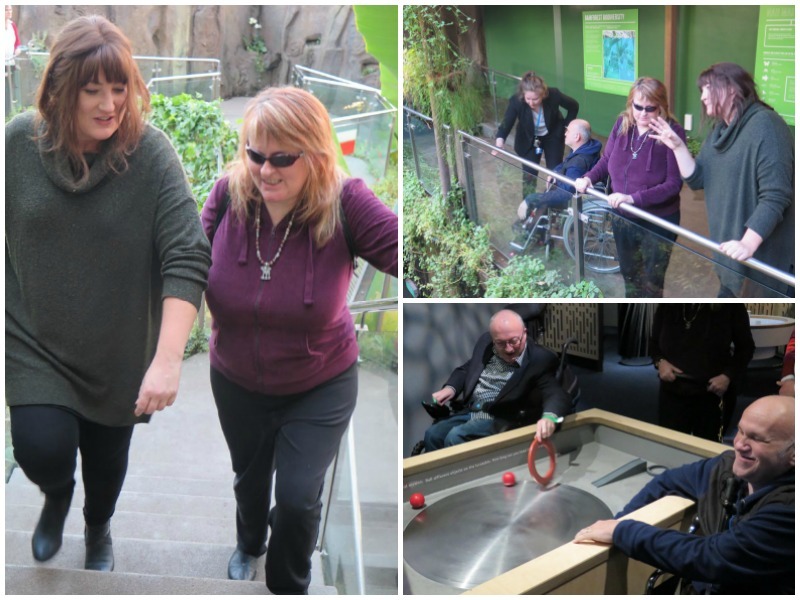 MUSEUM TOUCH TOUR: Members of the Arts For All Otago Network experienced a touch tour at the Otago Museum in May 2018. Members also shared information and resources. They also heard about accessible projects and events, run by their fellow Arts For All Networks in Auckland, Taranaki, Canterbury and Wellington. Individuals and organisations interested in arts, disability and accessibility are welcome to join the Arts For All Otago Network. Please contact Claire Noble, Access and Participation Advisor, Arts Access Aotearoa (T: 04 802 4349 E: claire.noble@artsaccess.org.nz. If you have have any upcoming events, opportunities or useful links for this page, please email Iona. RSVP to Claire by Wednesday 1 May and let her know if you have any access requirements. If you require an NZ Sign Language interpreter, contact Claire by Tuesday 23 April. 2.20pm - 3pm: An opportunity to share what accessible events and projects you are working on for 2019 and ask advice and questions from the group. Original generation time 4.7701 seconds. Cache Loaded in: 0.0267 seconds.